Regular dental visits are essential. According to a survey conducted in 1993, kids who had regular dentist visits had fewer missing teeth in comparison to those who visited their dentists whenever they had oral problems. 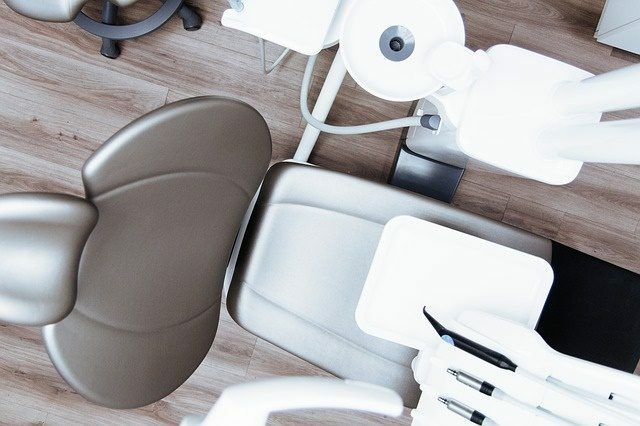 During routine visits, dentists examine teeth and gum health carefully. These regular visits help to catch oral fibroma in its early stages and treat it. Oral fibroma is a common benign growth that develops in response to a persistent oral irritation or trauma. The growths are fibrous and tumour-like. These growths can form on the side or top of the tongue, on the lips, inside the cheeks, or the gums. The fibroma growth is usually smooth and has the same colour to the tissues around it. However, at times they possess a paler or darker shade (especially if they have bled). Oral fibromas that develop under dentures are flat as opposed to dome-shaped. However, as a result of trauma, the fibromas may be ulcerated, scaly or rough. What Are the Other Names For This Condition? Oral fibromas are also known as fibrous nodules, oral polyps, and focal intraoral fibrous hyperplasia. All of these refer to the same condition. Being non-cancerous growths, fibromas develop when there is uncontrolled cell growth. Usually, local irritations or injuries trigger the irritation. Although they are benign, they grow and become more prominent when they are irritated. For this reason, dentists advise patients to avoid brushing over their fibromas. Using an alcohol-free mouth rinse is recommended to keep the soft tissue healthy. Fibromas develop to their maximum size in a week or a month(s). Their normal size is about 1 cm though some are larger than that. For urgent bookings or pressing teeth related treatment questions, call Savina Clinic today on (+356) 2165 7323 (Malta) / (+356) 2155 7323 (Gozo). 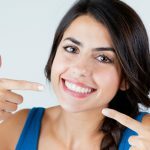 According to one research study, the most common areas that dentists find oral fibromas are on the sides and on top of the tongue, on the inside of the cheeks and the lips. However, fibromas often develop in areas that experience constant irritation from foreign objects or teeth. Loose dentures that continuously rub on the gum tissue can also cause fibromas. Oral fibromas are common in older adults. 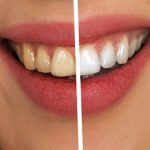 However, they can affect individuals of any age provided that the patient has persistent oral irritation (especially from the lip and cheek biting or dentures) and trauma. Young children and infants are not affected. Also, oral fibromas are more prevalent in males than females. Moreover, they affect individuals from all over the world, irrespective of race or ethnic background. How is An Oral Fibroma Diagnosed? A diagnostic procedure is followed to definitively diagnose an oral fibroma. 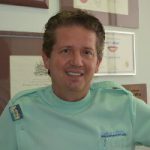 The dentist performs a comprehensive physical examination and reviews the patient’s medical history. They then perform a tissue biopsy of the fibroma, which is sent to the lab for analysis. This tissue is thoroughly examined under a microscope. The pathologist collects clinical findings and conducts special studies on the tissue if necessary. The clinical results and microscope findings are then combined to provide a definitive diagnosis. Some special studies may be conducted, histochemical stains, immunohistochemical stains, electron-microscopic studies, and molecular testing. The thorough examination of the biopsy under a powerful microscope is the standard of making a conclusive diagnosis. To reduce the chances of confusing oral fibroma with other types of tumours, a differential diagnosis is conducted. This is conducted against mucocele, neurofibroma, giant cell fibroma, squamous papilloma, peripheral giant cell granuloma, and benign salivary gland tumours. The treatment of oral fibromas begins by identifying the cause of the tumours. This means determining the cause of irritation. If the growth developed as a result of biting your inner cheek, then you need to take steps to stop this behaviour. 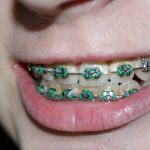 These steps may be as simple as snapping a rubber band on your wrist every time you bite your cheek or anything else that can help you to get rid of that behaviour. 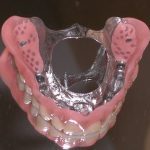 If the fibroma is as a result of an ill-fitting denture or night guard, you need to replace them before undergoing permanent treatment. The best treatments of oral fibromas are laser and surgical removal of the tumours. This case study outlines the process and explains what is involved in getting rid of oral fibromas. For tiny fibromas, this process can be conducted in a dentist office. The dentist will numb the affected area using local anaesthesia. Using a laser, the dentist will pass over the fibroma until it’s removed. As the laser detaches the fibroma from the oral surface, it cauterises (stops bleeding) and seals the surface. This means that no stitches are required. 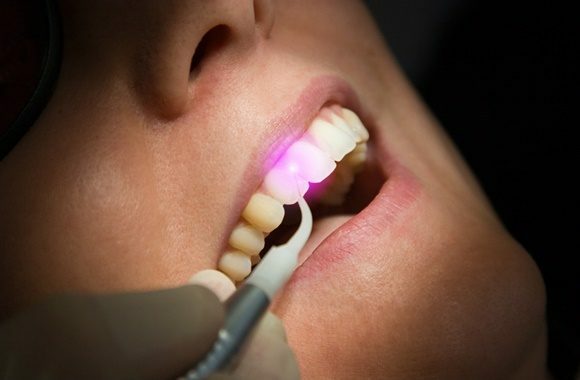 Dental laser surgery doesn’t cause bleeding and is usually pain-free. The process takes less than 15 minutes. This process is similar to laser surgery. The only difference is the instrument used to cut the fibroma. Once the area is numb, the dentist uses a scalpel to cut out the fibroma and stitches up the area. Before stitching, the dentist cleans that area thoroughly. Note that the number of stitches used depends on the fibroma’s size. The aftercare of the surgical procedure is slightly more involving than that of laser surgery. Patients need to be on the look-out for infections. As the wound heals, patients are advised to avoid smoking and eating salty and spicy foods as they may irritate the wound. What are the Risk Factors for Oral Fibroma? These risk factors don’t mean that people will inevitably develop the condition. However, they do increase one’s chances of developing oral fibromas. Some of these risk factors are more serious than others. Moreover, not having these conditions doesn’t mean that you are immune to the condition. Reviewing the risk factors with a dentist is important. What are the Possible Complications of Oral Fibroma? There aren’t any major complications that can arise. However, at times the oral fibromas recur even after surgical removal. This can happen when bits of a tumour is left behind during the removal process or when the irritant is not eliminated. How Can Irritation Be Prevented? 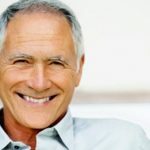 Irritation can be prevented by avoiding repeated oral trauma, including fixing ill-fitting dentures. What is the Prognosis of Irritation Fibroma? The outcome of oral fibroma is great following laser or surgical removal. However, the entire tumour has to be removed to prevent reoccurrence. Although oral fibromas are not life-threatening, they can be unsightly and uncomfortable. Scheduling regular dentist visits can help diagnose them in their early stages and have them removed.